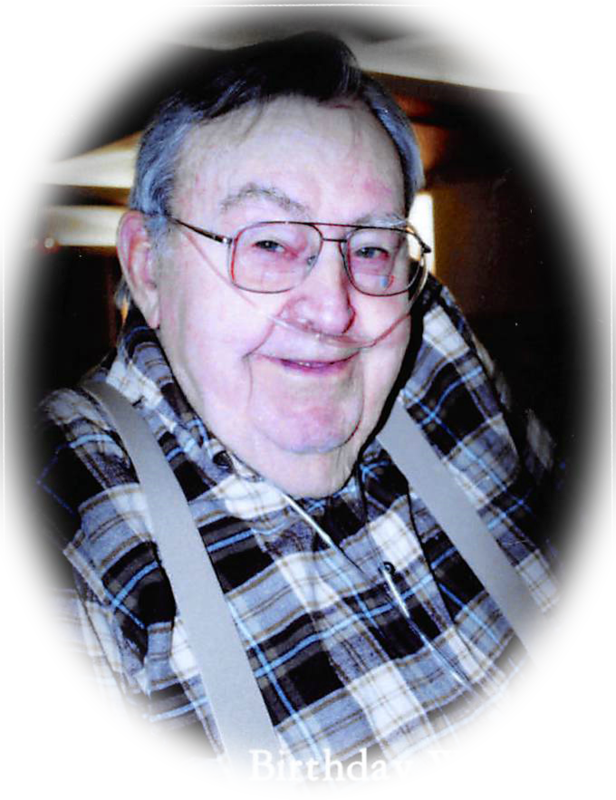 Franklin Lewis Johnson, 85, of Glasgow, Montana passed away July 8, 2018 at Frances Mahon Deaconess Hospital with his family by his side. Franklin was born November 24, 1932 to Louis and Stella (McPherson) Johnson in Nashua, Montana. He graduated in the Class of 1950 from Nashua High School. He married Ann Fay Erickson, June of 1954. Their daughter Debra Ann was born December 13, 1955. Franklin served his country in the Air Force and was stationed in Japan for a while. He was discharged early, when illness struck at home and he returned to Montana. He served several years with the Reserves from Opheim. In 1957 he began a career as a laborer but was promoted to carpenter’s helper and then promoted to carpenter in 1959. Franklin loved to garden, enjoyed his summers out at Fort Peck Lake at his cabin, looked forward to watching Westerns, was known to indulge in a bowl of popcorn or Maple Nut or Chocolate ice cream. Franklin was probably best known for his loving role of caregiver to his wife Ann, whom had developed debilitating arthritis at an early age. The two of them traveled a lot, especially to and from Rochester, Minnesota. Preceding Franklin in death are his parents Louis and Stella; wife Ann Fay Erickson Johnson; daughter Debra Ann Johnson Roness and sister Francis Kuszmaul. He is survived by his son-in-law Roger Roness; granddaughters Jamie (Eric) Seyfert, Amanda (Jeremy) Lacy, and Ashley (Josh) Roness; great-grandsons Kasey Seyfert and Caleb Lacy, great-granddaughters Kailey and Avery Lacy; and several nieces. Family will receive friends 5:00 – 7:00 p.m., Wednesday, July 11, 2018 at Bell Mortuary. Funeral Services will be 10:00 a.m., Thursday, July 12, 2018 at Bell Mortuary with Pastor Bonnie Novak officiating. Burial with military honors will follow at Highland Cemetery. A luncheon will be at the Glasgow VFW Post #3107 following burial. I’m so sorry to hear about Frank. He so enjoyed playing BINGO at the Manor with all of you.